Low-cost carriers have opened the possibility to see new places cheaply. and take a trip, especially given the proliferation of low cost airlines. The airline Ryanair has opened a base at the airport Malaga from where it launches 44 routes at mostly cheap prices. The countries that are better connected with Malaga, are the main markets of tourists to the Costa del Sol. In fact, the companies open routes more in order to bring travelers to Malaga rather than vice versa, something that benefits the province. The largest number of destinations is Spain itself, for obvious reasons, since it is necessary to improve the connection between the main cities. 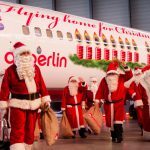 From Pablo Ruiz Picasso airport in Malaga you can fly to 22 Spanish cities, including very appealing tourist destinations such as Mallorca, Tenerife, Lanzarote or Madrid and Barcelona, which as big cities always have a lot of travelers, even in summer. The next country with 19 connections is Britain, being London – you can fly to Heathrow, Gatwick, Luton and Stansted – the preferred destination. However, there are gaining strength other cities like Liverpool and Edinburgh, which was European Cultural Capital in 1991. Germany is the third country where there are more opportunities to travel as you can access 13 cities, among which are also Berlin, Munich or Cologne. 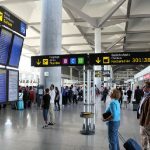 The airlines, despite the international downturn, have relied on the possibilities of Malaga airport to the point that the lines have increased for this summer season – which ends in October – in 9.5% the number of flights and 10.6% the number of seats. 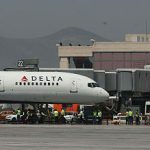 Proof of this is that the U.S. airline Delta Airlines has decided to recover the connection between Malaga and New York; from Malaga you also can fly through the Air Transat, to Montreal and Toronto. 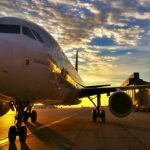 One of the advantages of having an international airport is that you can travel to multiple destinations without having to make stops. There remains yet the Asian market to be developed, although the opening of the new terminal, T3, opens new horizons. In the meantime, there are available 137 cities, the most of them at very affordable prices.